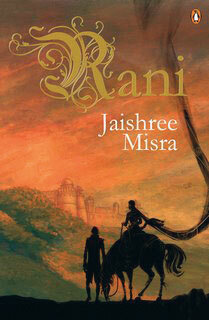 Relentless and ravishing, India’s most celebrated warrior queen, Rani Lakhshmibai, comes alive in an epic novel by Jaishree Misra, called Rani. The story chronicles the growth and experiences of a capable young headstrong queen, wise beyond her years. She was not one to be easily fooled by sob stories, nor was she a slick trickster, yet she managed to keep the British guessing, especially when Jhansi was annexed by them. During those tense circumstances, the Rani of Jhansi had turned to Major Ellis, an officer of the East India Company and Jhansi’s political agent, seeking help and advice. Despite an increased emotional attachment between them, doomed love is destined to falter when orders have to be implemented and they found themselves on opposite sides of an impassable divide. His attempts to assist her and yet try and remain loyal to his government ended with catastrophic consequences. Lord Dalhousie’s Doctrine of Lapse changed not only their lives but also the geography of what they both had loved and cherished. Human conflicts between love, loyalty, duty and desire are often ageless and the brave queen had battled courageously defending her corner as best she could when drawn into the vortex of the Great Mutiny of 1857. I was looking for a strong female character, since Indian history is so rich and I came up with a shortlist: the Begums of Bhopal and Begum Hasrat Mahal, who actually appears briefly in this book. But, Rani Lakhshmibai was the first person I seriously considered, as anyone who has been through the Indian education system, cannot forget the brave warrior queen. It was she who tried very hard, for almost four years, not to go to war with the British. We were not told about this whilst studying history in India and her image was hijacked by the Nationalists. Whilst doing my research on her in the British Library here and later on at the National Archives in Delhi, I was increasingly fascinated that British sources say opposite things to what the Indian sources have said. Some of the earlier British sources have obviously said awful things about her. She was called derogatory names and viewed as an adulteress and stood out as the one blot that marks the ideology of the 1857 Victorian Imperialist Period. How long did it take you to write thisbook? What was different about writing this historical epic compared to your previous books? It took four years and that’s much longer than my previous books. Maybe that’s because I have never had to research anything before. 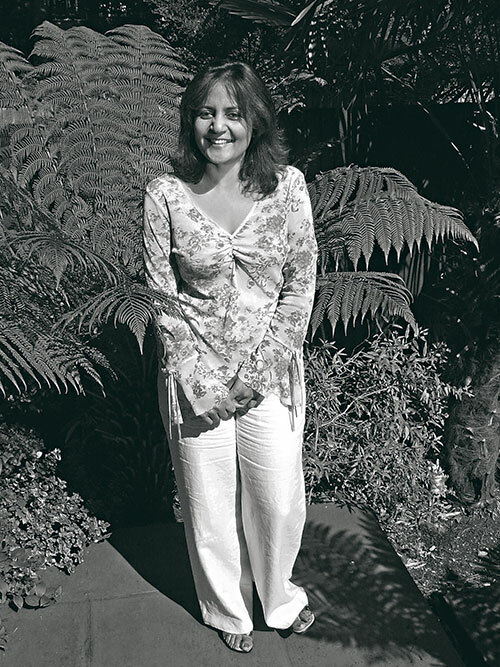 I am not an academic and took tips from writer William Dalrymple and tried learning about the cataloguing system. But because I was writing fiction rather than non fiction, it was a bit easier, even though I needed to know my subject inside out. It is said that while writing historical novels one should do all the research first, lock it away in a cupboard and then sit down and start writing. I guess I did that to some extent but I made the mistake and started writing my book, while still doing my research and the first draft of the book read more like non fiction. Besides, the time consuming research took much longer as I am in a full-time job and have family commitments too. What was controversial or unexplored about the life of the Rani of Jhansi? Rani Lakhshmibai was married at 13 and widowed at 24, when she took over Jhansi and died at 29 years of age. A lot of curious things have been said about her marriage. Antonia Fraser wrote a book on warrior queens and has a whole chapter based on Rani Lakhshmibai, suggesting her husband Raja Gangadhar was a homosexual. He liked dressing up in female clothes and had a great passion for theatre. British sources have maintained that they did not have any children. The British chose him beyond others because they thought Raja Gangadhar was a listening man and would be more suitable to them. I think he was a kind king and a good husband, encouraging her to take an interest in the administration and help him. Raja Gangadhar was not comfortable with royalty or marriage and I got the impression that he was sort of trapped in his life and didn’t really belong to it. Love changes circumstances instantly. What was so fragile about the romance between the queen and Major Ellis? The climate was Imperialist England and the British had conquered half the world. India was virtually theirs by that time. And then there is this man, Major Ellis the second protagonist in my book, who dares to put his career and everything he has ever worked for in the firing line in order to defend this defenseless queen. I first thought he was a chivalrous man of great honour, which he must have been. But when people write about their accounts of history they like to have their freedom struggles cast with black and white characters rather than someone like Major Ellis, who was British but sympathetic to the Indians. I could not resist the pull of the potential historical romance between them even though it was controversial. Rani Lakhshmibai was virtuous and valiant and I have kept her that way but there is an unrequited love story that unfolds in my book. It’s a sort of metaphor for the Empire because in a funny way the British thought that India belonged to them and loved India. They were there because they couldn’t resist the magic of India. Imagine the queen, who was a child bride and stuck in a loveless marriage, even though her husband was fair and kind to her. That to me as a writer was irresistible and had to be explored. In modern times who would you draw a parallel with for Lakhshmibai? I actually don’t think there are women like Rani Lakhshmibai anymore. I think today women are much more emotionally fragile. According to Indian sources she had a child with great difficulty, who finally dies even though British sources say she was childless. She then took the pragmatic sensible way forward and dealt with it and legally adopted a child. She was knocked around and treated badly by the authorities and yet she kept her spirit up and played the game by the rules with her chin up. And still in the end she was struck down. Rani Lakhshmibai had the courage to try and attempt to reason with the hugely powerful East India Company. Would you like to see the book made into a film? Yes, I am not averse to the idea. I met V S Naipaul once at Khushwant Singh’s house in Delhi when my first book, Ancient Promises had just been published. The first thing he said to me was, whatever you do, don’t get your book made into a film! I guess he is not a very optimistic person. But I think he said it because to a large extent a filmmaker would have to hack a book to make it into a film. It’s impossible to work with it as it is written and include all the same material into a film. Maybe Naipaul is a purist and he sees his books as works of art that must not be messed with. But I am not possessive about my books, once it’s gone to the bookshops it becomes different things. A story can be interpreted in many different ways to different people and it’s wonderful to see that one story can achieve new perspectives. A film is only another reincarnation of it. My new book is a contemporary London story and is based on female friendships. It’s a subject that has become close to my heart in the last few years because I have realised how much strength can be derived from it.